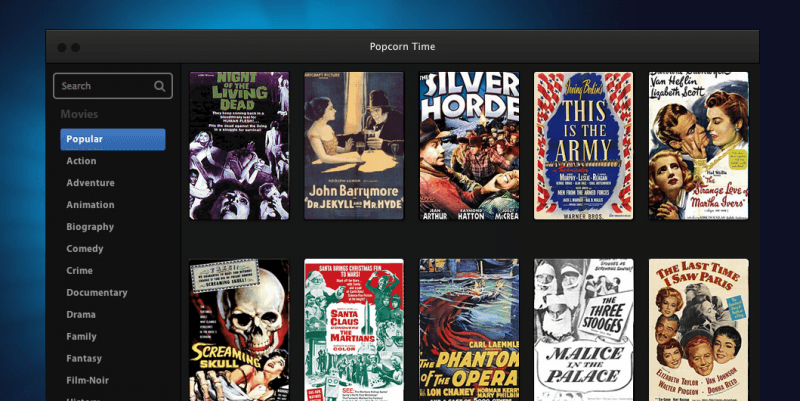 The new developers behind Popcorn Time have been continually updating the on-demand torrent streaming service after taking over for the original creators. Based on an open source platform, Popcorn essentially gives users a Netflix like experience while sourcing all its content from torrents. The arguable legal service recently expanded with Chromecast support allowing Popcorn Time to hit the big screen earlier this month, and now it looks like Apple TV will be able to pull down the torrent streams soon as well. Starting tomorrow, the team at Time4Popcorn is adding AirPlay support to the platform for Windows users, but it won't be available until early next week on the Mac, according to the dev team. We got a version of Popcorn Time for Android devices back in May, but many users are still waiting on the iOS version to hit. Fortunately, Time4Popcorn said we should be getting our first glimpse at the iOS version as soon as next month. While it's hard to say how long a service that looks to be based entirely around piracy will last, it is likely nice for some users to see the folks at Time4Popcorn enhance the experience on a regular basis.